This article originally was posted October 27, 2016 on Huffington Post. I am often asked why I decided to go to law school in the midst of a successful career as a cardiothoracic surgeon. The answer lies in the complexity of the laws that were affecting the practices of all health care providers. I did not understand these laws and I was pretty sure my colleagues were as much in the dark as I was. I hoped to get some new knowledge to, hopefully, level the playing field when forced into the legal arena. Unfortunately, being a physician now requires much more than just knowledge of medical issues; it now requires business acumen and a knowledge of the law. Electronic Health Records, Pay for Performance, health care fraud, billing requirements, performance measures, the Emergency Medical Treatment Active Labor Act (EMTALA), Health Information Portability and Accountability Act (HIPAA), Genetic Information Nondiscrimination Act (GINA), the Affordable Care Act (ACA), and the National Practitioner Data Bank (NPDB), all have very complex rules. Of course, being sued for medical malpractice has its own set of elements including “standard of care”, “duty owed”, and “causation”, none of which are readily understandable for people right out of medical school. In general, the statutes pertaining to health care are complex. There are lawyers who specialize in health care law and even they do not always understand the nuances of the precepts. In fact, some courts in dealing with these issues have come up with some very different interpretations of the laws. If the lawyers and the judges are confused as to what these various laws mean, there is little hope for the health care providers and hospital administrators who are doing their best just to care for the patients. Being a physician has always entailed some risks, especially if working with patients with infectious diseases; this is the case for most surgeons. Exposure to Human Immunodeficiency Virus (HIV), Hepatitis, Tuberculosis, and now, even Ebola can occur in practice. Adding to these medical risks are the legal risks that the health care practitioner must confront. Lack of knowledge of the laws is no excuse and this ignorance will not be recognized in a court of law. It is common to read about physicians who have been arrested for billing fraud. The cases presented seem to be pretty egregious and I am sure there are some bad apples in my profession who should be called to account, however, it seems like our society is intent on marginalizing its physicians. Doctors and dentists in particular are being described as special interest groups only intent on making money. They are described as “providers” and the patients are “customers”. Federal and State agencies are investigating practitioners for fraud in the provision and billing of services. Patients are being advised to review their billing information and inform enforcement agencies if they feel that fraud is involved. In fact, they can even receive some of the settlement funds if their claim is a winning one. Even our teaching hospitals and medical schools are subject to severe penalties if their documentation does not meet legal requirements; and these legal requirements are constantly changing. Some of these changing laws are even being enforced in a retroactive fashion which, for laws that may have criminal consequences, seems to be in violation of the Constitution which forbids enforcement of criminal laws in an ex post facto fashion. It took me four years to get through law school. I had to go part time in order to maintain my surgical practice. During the first year, the professors would address me as “Mister Weiman” just like they would address all of the students with the “Mr.” or “Ms.” descriptor. After the first year grades came out, they all started to call me “Dr. Weiman.” They wanted to be sure that I was serious about law school before they would be willing to acknowledge that I was a medical doctor. I never intended to give up on my career as a surgeon, but I wanted to learn as much as possible about the law and then, hopefully, convey some of that knowledge to my colleagues so that they could better participate in the legal process. The tide of health care law is changing rapidly and the debates are contentious. Just a few years ago, it would have been hard to imagine a Congress passing legislation that would force citizens to buy health insurance with mandated coverage for conditions that the buyer would never have. A Supreme Court decision allowing the Congress to levy a heavy tax on those who did not buy this mandated insurance was hard to foresee. Thousands of new IRS employees have been hired to police the new laws and many new boards and commissions have been or are being formed to further decide what the legal requirements of the law will mean. As the state legislatures and the United States Congress are actively involved in formulating health care law, health care providers with knowledge of the system should be better able to participate in the legal debates dealing with reform. This participation is essential as the laws will affect how future care is provided. I enjoy reading and studying the law. The legal opinions are generally written by very smart people and these opinions often provide a picture of what was going on in our country at that time. The study of law is a study of the history of our country. The study of the law is far more interesting than studying biochemical pathways or minutiae of anatomy and histology. I study both medicine and the law but studying the law is much more fun. I know that taking care of patients is a noble profession and I still enjoy being a surgeon very much. However, I fear that the best and the brightest of the younger generations are being discouraged from pursuing this career path in part due to legal contraints. This cannot be in the public’s best interest. In Tennessee, informed consent depends on what a reasonable patient would need to know in order to make a reasonable decision in regards to medical treatment. The patient must be told his diagnosis or the nature of his ailment, the reasons for the proposed treatment or procedure, the risks involved and the prospects for success, and alternative methods of treatment along with the risks and benefits of such treatment. The patient must also be told if the treatment is considered to be experimental. 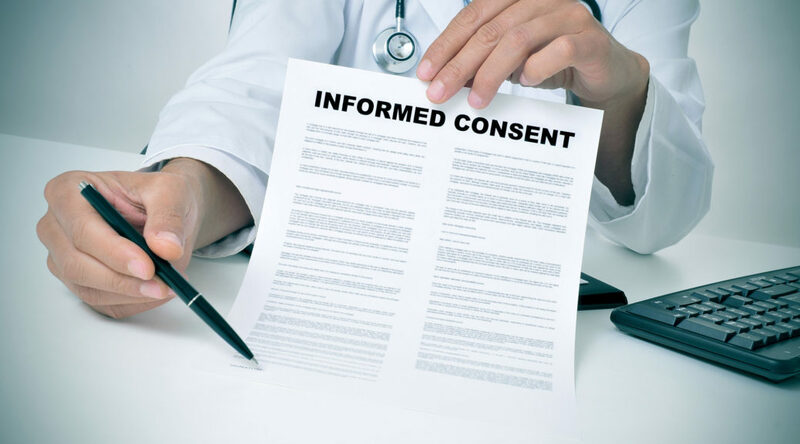 The informed consent standard used in Tennessee is the “objective patient” standard and this is the same standard used in the 1992 Code of Medical Ethics used by the American Medical Association. Only the practitioner is competent to explain the goals, risks, and benefits for the particular patient. This process cannot be delegated to another person. A recent decision of the Tennessee Supreme Court, Ike White v. David Beeks, M.D., has threatened to turn this consent process on its head. Ike White, a 19 year old, had chronic back pain related to a fall down a flight of stairs, injuries suffered while lifting a 200 pound car transmission, and injuries incurred in a three-wheeler accident. 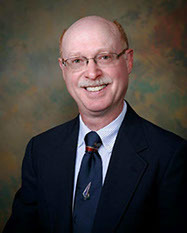 In May 2006, Dr. David Beeks operated on Mr. White’s lower back; the discs were fused to stabilize the spine. To help with the stabilization, a bone grafting product, “InFuse”, was used. Although Mr. White’s pain improved after the operation, it recurred about six weeks later. An evaluation of the pain showed that ectopic bone had formed at the spinal stabilization site. On July 6, 2007, a health care liability suit was filed against Dr. Beeks. The suit alleged that the InFuse caused the ectopic bone growth which put pressure on the nerves in Mr. White’s back. Mr. White testified that Dr. Beeks had never discussed the risks associated with InFuse, and, in fact, had never even used the words “InFuse.” Mr. White said that alternatives to InFuse were not discussed nor was the risk of not using InFuse to help with the fusion. It was plaintiff’s theory that this pressure on the nerves was what was causing the back pain. It was alleged that the InFuse had been negligently placed. It was also alleged that Dr. Beeks did not get an informed consent from Mr. White since all of the possible complications of InFuse had not been discussed so that Mr. White could give an informed consent. During the trial, the Court granted a motion which limited the Plaintiff’s expert’s testimony to only the risks of InFuse that allegedly occurred and caused Mr. White’s injury. The jury came to the conclusion that the injury was not related to the InFuse since there was undisputed testimony that ectopic bone formation had never been shown to result in neurologic injury for this type of case. Even if InFuse had caused the ectopic bone growth, the pain was not due to this bone deposition. After the jury verdict, the Plaintiff appealed, arguing that a new trial was warranted because the trial court erred in not allowing Dr. Law’s testimony relating to risks that had not occurred in this case. The plaintiff made the argument that he would never have consented for the procedure if all of the significant risks had been disclosed; including the ectopic bone formation. So it came down to an issue of informed consent and it did not matter if the complication (injury) suffered had been discussed in the consent process. 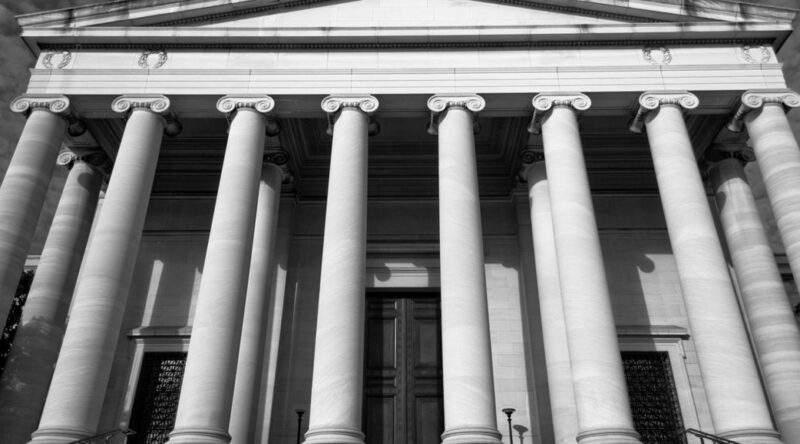 If all material complications had not been discussed, then the jury should make a decision as to whether the consent process was adequate or not. Since the trial court did not allow the plaintiff’s expert to opine on what he felt were complications not discussed in the consent process, then the jury could not have made an informed decision if the process was adequate or not. The Court ruled that this error, more probably than not, influenced the jury’s verdict. As such, the plaintiff was awarded a new trial. The bottom line is that the physician must make a “full disclosure” of any facts necessary for a patient’s “intelligent” consent for a proposed treatment. Obviously, the term “full disclosure” is open for interpretation. With this holding, it will be difficult, if not impossible for the clinician to go over every “material” complication associated with a procedure, especially if medical devices are to be used. It is possible that I may be reading too much into this decision. It seems unlikely that the Court intended for every conceivable risk be discussed with the patient. Perhaps just the risks that a reasonable physician in the same or similar community would discuss in the process of getting informed consent are required. But what risks would be relevant for that particular patient in coming to an informed consent? What we do know from this decision is that the injury suffered, even if it was discussed in the informed consent process, may not be enough to win on the informed consent issues. It will take time for the Court to clarify this holding. In the meantime, plaintiff’s attorneys in Tennessee are likely to include an “informed consent” theory in future medical malpractice cases. White v. Beeks No.E2012-02443-SC-R11-CV Filed May 18, 2015. InFuse is a human-engineered protein which stimulates bone growth. This ectopic bone is supposed to help in the fusion process. Ectopic bone is bone that presents at an abnormal site. White v. Beeks No. E2012-02443-SC-R11-CV Filed May 18, 2015. One of the goals of the Affordable Care Act, otherwise known as “Obamacare”, is to decrease the cost of health care. It is believed that some of these costs are related to medical malpractice; these costs are driven by high malpractice insurance premiums that health care providers must buy and the unnecessary tests and procedures that are done in a “defensive” manner to better help in defending a future, potential, negligence claim. Recognizing these costs, the Affordable Care Act allows for the award of five-year demonstration grants which will be awarded to the States to set up new methods of medical malpractice resolution. The plans should be designed to cut the costs associated with the current medical malpractice tort litigation and hopefully, allow the providers to stop practicing “defensive medicine.” These grants were to be appropriated starting in fiscal year 2011. To my knowledge, this has not yet occurred. America’s current system of dealing with the tort of medical malpractice is woefully inefficient and costly. 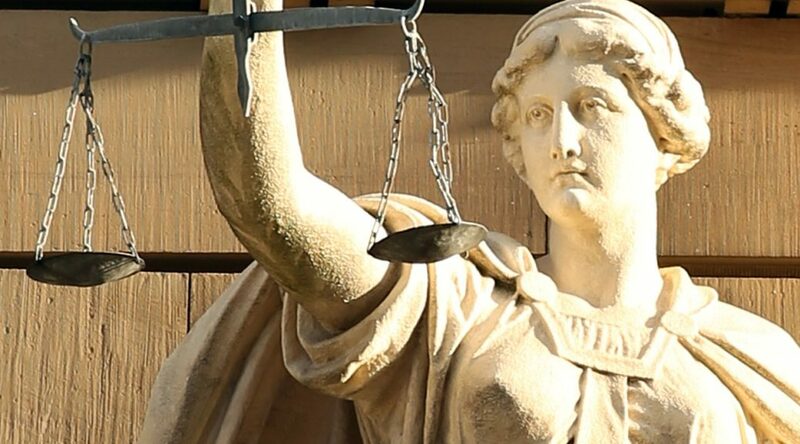 Juries often find it difficult in differentiating victims of malpractice from those who have suffered from an unavoidable outcome and the jury may fail in reaching reasonable awards for those who are injured. Only two percent of patients injured by negligent care in a hospital ever file a malpractice claim (New England Journal of Medicine vol. 324, 1991 (370-6). The elderly and the poor are even less likely to sue (Medical Error: What do we know? What do we do? Jossey-Bass, 2002). For providers, going to trial can be a risky endeavor as you never know what a jury will do. In Tennessee, for example, heart surgeons are sued for malpractice on the average of once every three years. One case where I was a named defendant occurred in 1996. The case finally went to trial with a defendant verdict in 2013. In this case, the first judge died and a second judge recused herself since she knew one of the defendants. So much for the concept of a speedy trial as a Constitutional right. Because of the noted shortcomings of the present system, there have been proposals in the United States Congress, both in the House and Senate, to allocate money to the States to experiment with “Health Courts” and other alternatives to the present system of litigation, for resolving medical malpractice suits. These courts did not get any traction in the past but they are now being restudied under the goals of the Affordable Care Act. 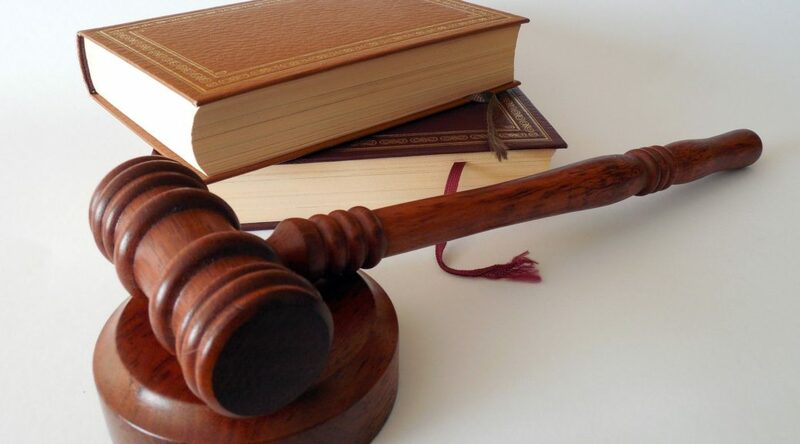 The proposed Health Court system will probably have a liberalized standard for negligence; a mistake or medical treatment falling outside a range of good practice will be compensable. The plaintiff will no longer have the burden of persuasion to show personal fault on the part of the defendant. The Health Courts will be designed to expedite proceedings and improve patient access to the system. There will probably be limits on non-economic damages which will be based on the severity of injury. Damages will be set by an independent commission created by the State. Under current models, the Health Courts will have public reporting of all cases settled or adjudicated. This would be a means for setting precedent for other courts dealing with similar fact patterns. There may even be a centralized reporting system so that there could be a uniformity of awards among all of the states. What about the constitutional right to a jury trial? The Seventh Amendment states in part, “[i]n Suits at common law, where the value in controversy shall exceed twenty dollars, the right of trial by jury shall be preserved…” The U.S. Constitution does not prohibit Congress or the States from creating new compensation rights or eliminating claims that were recognized by common law so long as any changes were part of a comprehensive administrative scheme that provides benefits for the claimant. New York Central Railroad v. White 243 U.S. 188, 200 (1917). Based on the previous model formed by the Congress, the Health Court system would probably require an initial review of the claim by a Health Court Review Board. If the Board concludes that the injury was clearly due to malpractice, a payment would be made based on a published schedule of benefits. These claims would have expedited payments since they would fit the definition of an Accelerated Compensation Event (ACE). Examples of an ACE would be giving a drug to a patient who is known to be allergic to the drug, amputating or otherwise operating on the wrong extremity, or unintentionally leaving a foreign body inside a patient who has been operated on. If the Board is certain that the claim was not due to malpractice or the injury was too small to justify an award, they can dismiss the suit. For cases that are not clear, a Health Court trial would be the next step in the process. These trials, based on previous models, would be presided over by “specially qualified judges” with a background in science or medicine. The models previously discussed do not require the judge to have any legal training but this may change during administrative clarifications. I am not sure how the judges would be picked for this system, but there was a plan put forth previously by the Progressive Policy Institute which would have the judges appointed by the governors of the States. These judges would have to have a background in science and/or medicine. It was not defined how much science (hard or social) would be required or how much medical knowledge. It was also not clear if the judge would need to be a medical doctor. Would nurses and PhD’s be allowed? The hired expert witnesses would be tasked to help the judges make binding determinations as to standards of care, causation, compensation, and related issues such as comparative fault. The expert would be considered as neutral as to the case outcome. It is foreseeable that there will be a new legal standard as to what constitutes an injury. An “injury” will be the result of a mistake that should have been prevented. An injury would not occur if “optimal” care had been given. This is known as the “avoidability standard”. This standard is more liberal than negligence but not as severe as the “no fault” standard. Plaintiff will no longer need to prove that the defendant breached the standard of care by acting negligently. He will only need to prove that optimal care was not given; a much easier standard to prove. If liability is found, damages would need to be set. In the previous models, the damages were to be set by a schedule of benefits derived from a consensus process involving research into similar benefit schedules in the United States and abroad. The schedule would cover both economic and non-economic damages. Non-economic damages would be listed in a tiered system based on severity of injury. The damage schedule would be adjusted annually on the federal level and then used by the state health courts. The overall goal of the system will be to reduce health costs by reducing liability payments and the malpractice costs of providers. The benefits of the proposed Health Court system would be (1) quicker and more reliable justice; (2) improved patient safety; (3) lower overall costs; (4) allow for the patient to have a more trusting and open relationship with physicians and other health care providers; and (5) a liberalized compensation scheme to cover avoidable injuries without the requirement of proving negligence. (Bulletin of the American College of Surgeons, May 2006). The Health Court system seems like a reasonable idea to bring more fairness to compensating patients who have been injured by health care providers. Physicians like the system; insurance companies like it; Republicans like it; the Institute of Medicine likes it. It is not clear what the role of the National Practitioner Data Bank will be, especially as it relates to payments not due to medical malpractice. I am not very good at predicting the future, but I know that physicians will need to understand what is going on in the medical malpractice arena so they can better participate in the decision making process. It will be interesting to learn what the states will do with this grant money being provided under the Affordable Care Act. Janice Mulligan, Chair of Standing Committee on Medical Professional Liability, 2006. Being Deposed? Beware and Behave! Attorney: Did you check for a blood pressure? Attorney: So then, is it possible that the patient was alive when you began the autopsy? Attorney: But could the patient still have been alive, nevertheless? Witness: It is possible that he could have been alive and practicing law somewhere. During a physician’s career, it is likely that he will be named in a malpractice action. Before the trial, any party in the action is allowed to take sworn testimony of any witness, opposing party, or any expert expected to testify at trial for the opposition. The witness will be placed under oath to tell the truth and then the lawyers from each party will be allowed, in turn, to ask questions. This pre-trial testimony is called a deposition. The conduct of a deposition is very structured; the lawyers know the rules but the physicians, and other witnesses generally do not. Being forced to answer questions by an adversarial attorney while you are under oath can be stressful. It can be especially unnerving to be limited to only answering “yes” or “no” when you really have more to say; but you must play by the rules of the court. Although stressful, knowledge about the proceeding and awareness of trial strategy can make it tolerable and perhaps, allow you to perform with more confidence. As a discovery tool, the deposition is useful to gain information that may not be in the medical records, obtain useful admissions from the witness, and box the witness in as to what he can say at the trial. It is common for the attorney to close his questioning by asking the witness if there are any other issues he will testify to at trial. If the witness says “no” then he will not be allowed to bring up new issues at the trial unless the opposing attorney “opens the door” to new testimony by asking a question that is beyond the scope of what was asked at the deposition. There is no judge present at the deposition so any objections to a question will have to be ruled on at a later time. What usually happens is the objecting attorney will place the objection with a short legal reason which should give the questioning attorney a clue as to how to correct the question so that it will no longer be objectionable. Usually the asking attorney will change the question to pass muster, but he does not have to. The witness must answer the question unless his attorney claims the answer is protected under some privilege e.g., attorney-client or husband-wife. If the judge later sustains the objection, the answer given will not be allowed to be used at the trial. The questions and answers at the deposition will be recorded by a court reporter and the transcript of the proceeding will be given to either party provided they pay the fee for the transcript. Some depositions are video-recorded. This video may be used at trial if, for some reason, the witness is not able to attend. This video would be more effective than just having someone get on the stand and read the answers to the jury. The jury will be able to evaluate the witness’s demeanor, the tone of voice and the timing of the answers so as to get a better feel as to credibility. Depositions are a great opportunity for an attorney to learn about the adversary’s case and get a feel for the performance and credibility of the witness. 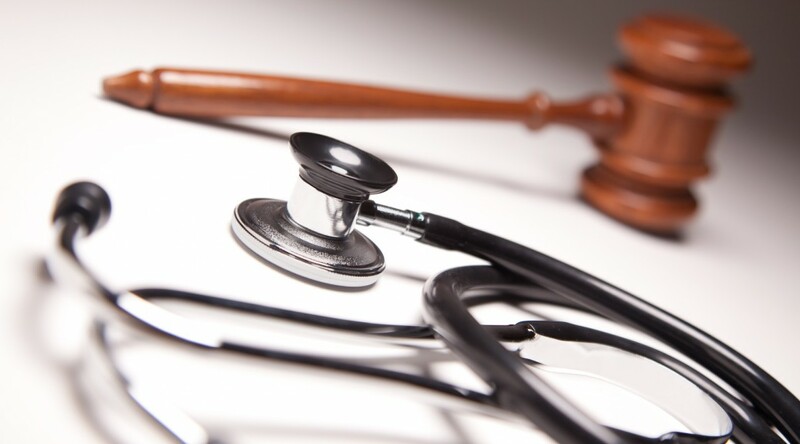 Although a majority of medical malpractice cases get resolved before they ever get to trial, it is rare for the resolution to occur before the depositions of the plaintiff, defendant, and plaintiff’s expert. If the plaintiff’s expert isn’t knowledgeable and credible, it is unlikely that plaintiff’s attorney will take the case to trial; he may try instead, to push for a settlement. There is a great deal of strategy that goes into taking depositions. Many experienced lawyers will try to get right to the heart of the matter and ask as few questions as possible to get the information they need to support their theory of the case. This “short and sweet” approach is possibly due to the fact that the witness, if it is an expert for the opposition, must be paid by the deposing attorney’s side. Also, many attorneys are busy and don’t want to waste time by eliciting unhelpful testimony. Some attorneys have a different strategy. They will drag a deposition on for hours in hopes of tiring the witness out. They will then try to trap the witness into saying something harmful to the case which he would never say if he was not worn out and “unalert”. If you are the one being deposed, your behavior is very important. You must do your best to answer the questions honestly. Do not interrupt the deposing attorney until he has finished asking the question and then wait a few seconds to give your attorney a chance to object if he needs to. Even if your attorney objects to a question, you must answer to the best of your ability unless a privilege is invoked; if this happens, your attorney will instruct you to not answer and he will let the deposing attorney know the grounds on which he is objecting. They may argue a bit and they may even have to get the judge on the phone for a ruling. Your job is to sit tight and watch the drama unfold in front of you. In general, the deponent is not allowed to confer with his attorney during the course of the deposition. This rule has gotten some criticism as a denial of the right to counsel especially if there is a prolonged break in the questioning. Because of this criticism, most courts agree that you, as deponent, and your counsel can confer during a recess, but there should be no coaching as to how to answer the questions. Once back on the record, do not be surprised if the questioning attorney asks you what you and your attorney discussed during the break. He is allowed to ask these questions to see if any improper coaching occurred; you must answer the questions so it is best not to put your attorney into a bind by asking him for help during the break. Once you are on the stand, as in court, you are on your own until the attorneys have finished with you. Always be professional. You’re a doctor; use a professional demeanor. Be polite. A deposition is stressful but it is best to maintain your cool and answer to the best of your ability. The jury knows that your are stressed and they will respect you more if they see you are being polite—even to your adversary. Dress appropriately. 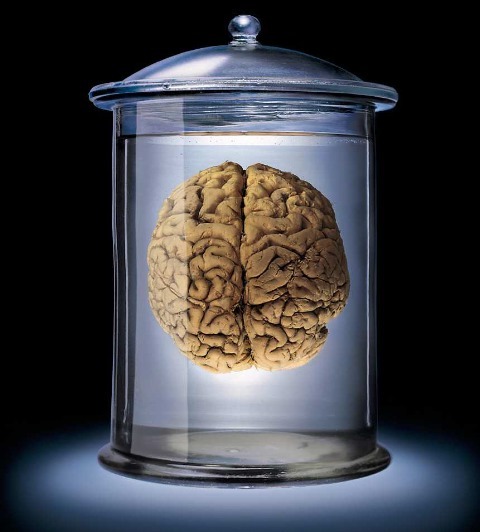 If you are asked a question and you don’t remember the answer, it is acceptable to say that you “don’t remember” or “don’t recall.” It is the rare individual who can recall what he was thinking at a particular time many years ago. It is not a good idea to guess at what you could have been thinking. The opposing attorney may ask you to look at the medical records and then ask if you can come up with the answer. If the chart review does not help you remember then say so. The opposing attorney may present you with a hypothetical patient who is similar to the plaintiff and then ask for your opinions as to diagnosis and treatment. As a physician, it is fair for you to point out that the presence of the patient (one that you can actually talk to and examine) is critical to making a diagnosis and formulating a treatment plan. It is fair to be reluctant to give a definitive answer based on limited knowledge. If your case involves a missed diagnosis which led to harm to the patient, some attorneys will persist in trying to get you to admit to a mistake. They will do this by posing a theoretical question dealing with the signs and symptoms of the patient and ask you to provide a differential diagnosis. For example, let’s say the patient had an aortic dissection and the diagnosis was not made until the patient was already dead. The attorney might ask for a differential diagnosis for a patient who presents with substernal chest pain, shortness of breath, and tachycardia. Faced with this scenario, the inclination is to say, “It could be an aortic dissection.” This is especially true in light of the fact that you already know that is what the patient had. It would be truthful and better for your case if you don’t jump ahead. Provide the attorney with a list of conditions that meet the proposed criteria so that the jury can actually see that the case is not as simple as the plaintiff is trying to portray. In this example, the list could include myocardial infarction, pulmonary embolus, aortic dissection, pneumonia, pancreatitis, a duodenal or gastric ulcer with perforation, costochondritis, and perhaps a sternal or rib fracture. There are other possible diagnoses you could add but I think you get my point. Remember to only answer the question that you have been asked. Many defendants feel that giving a long, detailed explanation that goes beyond the scope of the question will educate the attorney as to your thought process and make him realize that you are a knowledgeable, reasonable, and prudent physician. This is unlikely to happen and you may even be hurting your case. Actually, the more information that you provide to the plaintiff’s attorney will just provide him with more material with which to ask you questions. So if you are asked a “yes” or “no” question, you do not need to provide any explanations. For example, if you are asked if you remember seeing the patient on a particular day when there is no note by you or your team and you really do not remember, then “no” is the answer. If you say, “No, but it could have been one or two times and I just didn’t document it,” you will be opening yourself up to another line of questioning dealing with your documentation habits. In a deposition, the intent of your attorney may not be to educate the jury. He may prefer to wait for the trial to do that. He may advise you to use medical terms in your answer so as to force the deposing attorney to look to you for help. This may not be the best strategy especially if your testimony ends up being read back at trial, but you will need to follow your attorney’s advice. I prefer to answer in a way that would be understandable to a lay person. If your deposition testimony is being read to the jury at the trial, they may not appreciate it if they think you are talking down to them. Do not try to be funny or sarcastic with the opposing attorney. Every word you say is being recorded by the reporter and it may not sound very good if the transcript is read back to a jury at trial. It is unlikely that a clever response on your part will end up in the next edition of Foolish Words. Ward, Laura: Foolish Words, The most stupid words ever spoken, PRC Publishing Limited, New York, 2003, p.120.